Every person’s News Feed is different and populated with a unique set of stories — from photos and videos to GIFs and links. And with so many types of stories available, each feed is more complex than ever. In order to make News Feed more conversational and easier to read and navigate, we’ll be making a few updates to its design over the coming weeks. 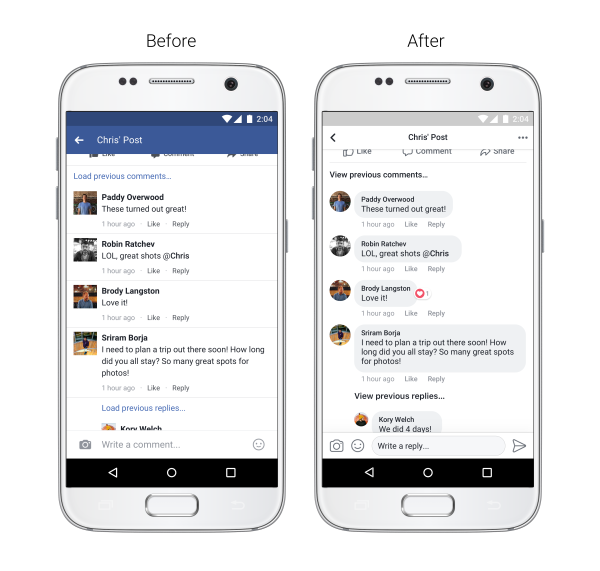 We’re always working to help people have more lively and expressive conversations on Facebook. More and more, comments have become the way to have conversations about a post with other people. We’ve updated our comment style and made it easier to see which comments are direct replies to another person.